1.Mackie O C, Scriven P N. Meiotic outcomes in reciprocal translocation carriers ascertained in 3-day human embryos.[J]. European Journal of Human Genetics Ejhg, 2002, 10(12):801-6. 2.Oliverbonet M, Navarro J, Carrera M, et al. Aneuploid and unbalanced sperm in two translocation carriers: evaluation of the genetic risk[J]. Molecular Human Reproduction, 2002, 8(10):958. 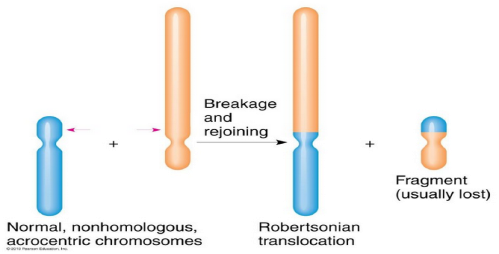 3.Therman E, Susman B, Denniston C. The nonrandom participation of human acrocentric chromosomes in Robertsonian translocations.[J]. Annals of Human Genetics, 1989, 53(1):49-65. 6.江美燕, 偶健, 李红. 染色体平衡易位携带者生育风险评估[J]. 南京医科大学学报(自然科学版), 2015(9):1291-1296. 7.张月萍, 徐建忠, 殷民,等. 染色体平衡易位携带者妊娠风险及妊娠结局的研究[J]. 中华妇产科杂志, 2006, 41(9):592-596. 8.Joep G, Markus M, Cristina M M, et al. 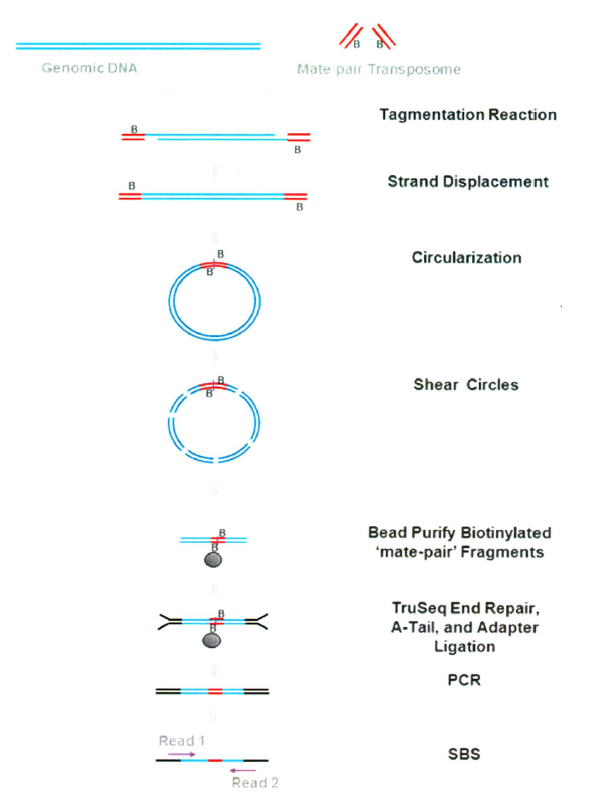 Polar body array CGH for prediction of the status of the corresponding oocyte. Part I: clinical results[J]. Human Reproduction, 2011, 26(11):3173. 9.Xu J, Zhang Z, Niu W, et al. Mapping allele with resolved carrier status of Robertsonian and reciprocal translocation in human preimplantation embryos.[J]. Proceedings of the National Academy of Sciences of the United States of America, 2017, 108(3):201715053. 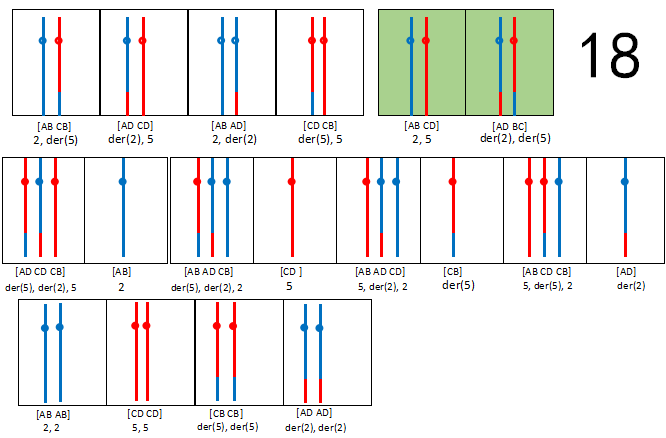 10.Hu L, Cheng D, Gong F, et al. 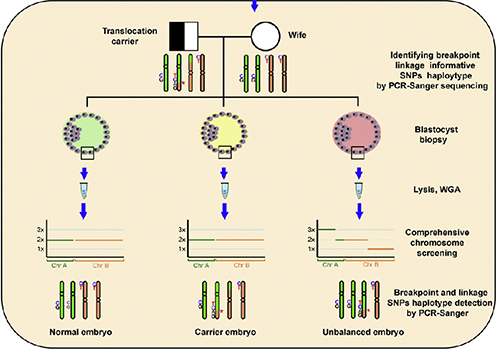 Reciprocal Translocation Carrier Diagnosis in Preimplantation Human Embryos[J]. Ebiomedicine, 2016, 14:139-147. 11.胡亮, 谭跃球, 冯涛,等. 一种相互易位染色体的断点分析方法:, CN 105039569 A[P]. 2015. 12.Harton G L, Harper J C, Coonen E, et al. ESHRE PGD consortium best practice guidelines for fluorescence in situ hybridization-based PGD.[J]. Human Reproduction, 2011, 26(1):25-32. 13.American College of Obstetricians and Gynecologists Committee on Genetics. Committee Opinion No. 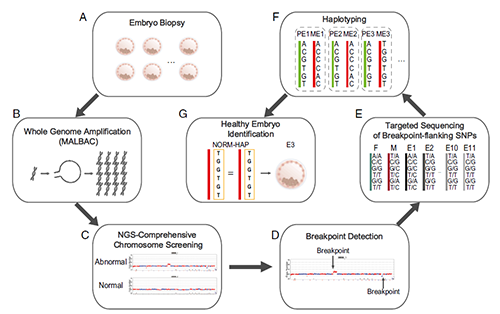 581: the use of chromosomal microarray analysis in prenatal diagnosis.[J]. Obstetrics & Gynecology, 2013, 122(6):1374-7. 14.张雯珂. Mate pair文库测序在染色体相互易位PGD中的应用[D]. 中国人民解放军医学院, 2016. 15.Zhang S, Lei C, Wu J, et al. 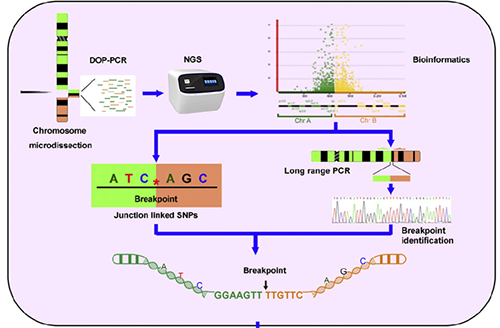 The establishment and application of preimplantation genetic haplotyping in embryo diagnosis for reciprocal and Robertsonian translocation carriers[J]. Bmc Medical Genomics, 2017, 10(1):60.